NEWS : SURVIVAL, STORY, QUESTS ARE HERE!! Welcome to PokeMayhem, A Pixelmon Reforged & Generations Server. To Download Pixelmon Reforged follow this link and place in your 'mods' folder. 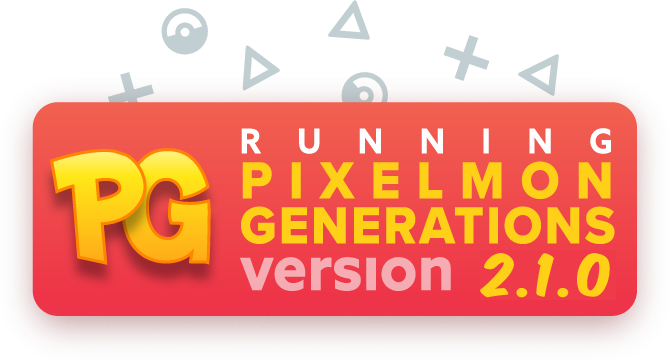 To Download Pixelmon Generations follow this link and place in your 'mods' folder. Remember to add play.pokemayhem.com to your server listings! We offer a wide range of unique ingame and donor perks! All store donor items are available ingame or on our Discord via the #giveaways channel. We are a server that listens to its community and takes on board the feedback we receive and aims to provide an enjoyable experience for all.